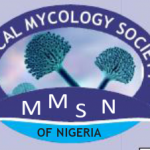 The Medical Mycology Society of Nigeria (MMSN) organised the 3rd Invasive Fungal Infection Forum from the 5th to the 7th of April. In attendance were laboratory physicians, dermatologists, radiologists, respiratory physicians, ENT surgeons, pharmacists and laboratory scientists. Faculty included Professor Nelesh Govender and Dr Charlotte Sriruttan from NICD, South Africa; Dr Sam Fayemiwo from UCH, Ibadan, Nigeria; Dr Uju Okaa; Dr Felix Bongomin; and Dr Akan Otu. A diverse range of invasive fungal infections were discussed including emerging pathogens such as Emergomyces species and Candida auris. Antifungal toxicity and drug interactions were covered and issues of antifungal resistance were deliberated upon. Participants also had hands-on laboratory practical sessions and Dr. Nick Irhurhe took physicians through an intensive radiology viewing exercise. Attendees left the forum highly sensitised and many registered to join the MMSN.